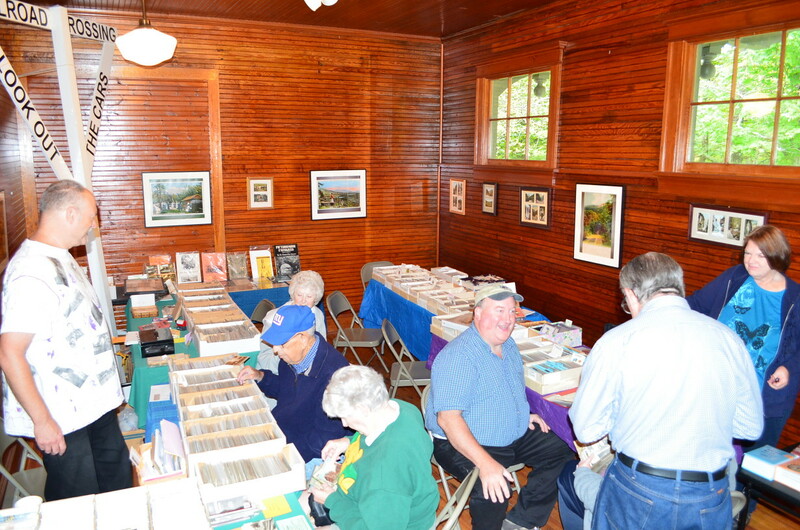 The third annual postcard show on Saturday, September 20th, 2014 at our Ulster & Delaware Train Station on the Mountain Top Historical Society Campus on Route 23A in Haines Falls was our best attended yet. In addition to dealers, John Duda and friends, the MTHS sold items including posters, prints and other ephemera from the attic. There was something for everyone. Five dealers brought collectable postcards from the Hudson Valley and well beyond as well as holiday and other topical cards. Plans for next year are already in the works. To someone interested in the history of the trails around North-South Lake State Campground, one of the oldest recreational trail systems in America, the long and varied history can be confusing. 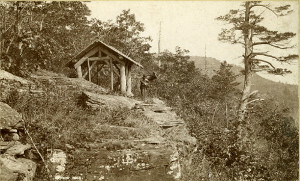 In the heyday of the Mountain House, each trail led past many well-known and named locations. The trouble is that the names of the locations changed, and often the same name was used for different locations. It may be that different hotels or boarding houses assigned names to spots on their trails without regard for the names used by other resorts. Hence, there was a Sunset Rock near the Mountain House, and one near the Laurel House. There were two Prospect Rocks as well as two different locations one named Glen Mary and and the other Mary’s Glen. There was also an elusive location north of the Mountain House named Artist’s Rock–elusive because there are no common images that clearly identify it and the trail descriptions are vague and somewhat inconsistent. On Saturday, October 11, 2014 the Mountain Top Historical Society's Haines Falls campus will be the place to be. Starting at 9:00 a.m. there will be a choice of hikes spreading out to various trail heads around the area with popular experienced hike leaders. Wendell George from the Catskill Mountain Club will lead a hike to Sunset Rock/ Bear's Den on North Mountain. David and Carol White will offer an expedition to Dibbell's Quarry, and beyond, through a hemlock forest to an amazing beaver dam that survived Hurricane Irene. Pete Senterman from Platte Clove, with his son, Jeff, from the NY/NJ Trail conference will lead a group on the Huckleberry Rail Trail from Clum Hill Road to Bloomer Road in Tannersville passing the location of the CCC camp. This very easy hike will provide an opportunity for hikers who prefer a “walk in the woods” style outing. In addition, Susan Kukle and Athena Billias will use the Kaaterskill Rail Trail to hike to Sphinx Rock. 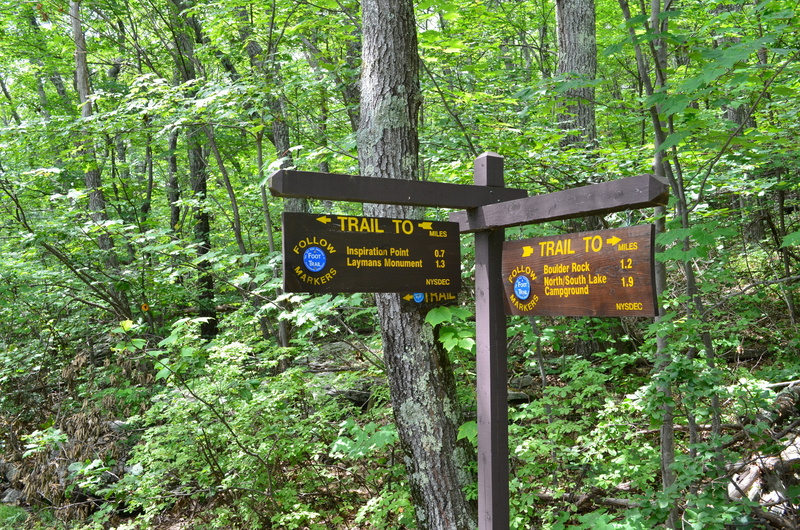 All of the hikers will meet at the MTHS campus at 9:00 a.m. and car pool to the different trail heads for the hikes. The hikes are all designed to last about 3 hours and return to the MTHS for lunch. Lunch will be hamburgers and hot dogs on the grill with all the fixings including salads, cold drinks and dessert. The cost per person for lunch is $10 and will be served beginning at noon. Around 1:00 p.m. or as soon as all the hikers have returned and had their lunch, in the U&D Train Station, we will have presentations by Jeff Senterman about the Catskill Park and by the Whites about measuring the trails throughout the Catskill Forest Preserve. There will also be displays in the Train Station by the 3500 Club, the NY/NJ Trail conference, the Kaaterskill Rail Trail, the MTHS and others. We are arranging a presentation by Marty Molitoris of Alpine Endeavors on ice climbing. We welcome hikers and those interested in hiking or just in the beauty of the Catskill Park to join us for a hike, a presentation, lunch, good company and interesting information. We expect to finish up by 4:00 p.m. Please make reservations for the hikes and for lunch. This is a Lark in the Park event. 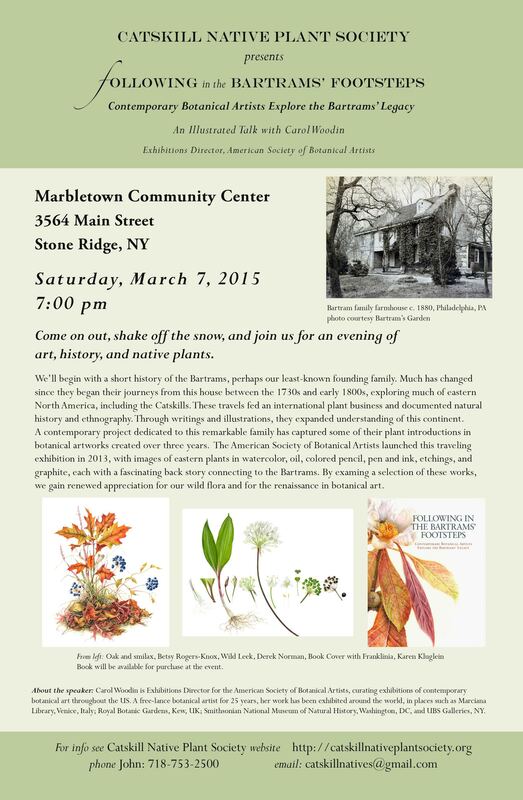 The Mountain Top Historical Society Looking Good!